(NaturalNews) Every year, 75,000 people die in the United States from infections that they acquired while in the hospital. Every one of those deaths is considered preventable by good hygiene practices. Embracing the philosophy that zero hospital-acquired infections is an achievable, reasonable and important goal, Consumer Reports has issued a new report rating hospitals nationwide on how often their patients came down with two of the most common and lethal antibiotic-resistant infections: methicillin-resistant Staphylococcus aureus (MRSA) and Clostridium difficile (C. diff). "High rates for MRSA and C. diff can be a red flag that a hospital isn't following the best practices in preventing infections and prescribing antibiotics," said Dr. Doris Peter, director of Consumer Reports' Health Ratings Center. "The data show it is possible to keep infection rates down and in some cases avoid them altogether." According to the Centers for Disease Control and Prevention, 648,000 people contract hospital-acquired infections each year. Of these, 75,000 die; this is twice the number of people who are killed by car crashes each year. Of these hospital-acquired infections, approximately 60,000 are MRSA and 290,000 are C. diff. Of the deaths, 8,000 are attributable to MRSA and 27,000 to C. diff. That means that the two diseases together are responsible for 47 percent of all deaths from hospital-acquired infections. Consumer Reports had already been collecting information on three other common forms of hospital-acquired infections: blood stream infections, surgical site infections and urinary tract infections. MRSA and C. diff. infections will now contribute to a hospital's composite infection score. The highest score for MRSA and C. diff prevention is only given to hospitals that achieved zero infections for the latest period in which CDC statistics are available. This period is currently October 2013 to September 2014, but it is updated quarterly. Nationwide, 322 hospitals achieved the top score for MRSA prevention, 357 for C. diff. prevention, and 105 for both. Only nine hospitals in the country received high scores for preventing all five infections: Western Arizona Regional Medical Center (AZ), South Baldwin Regional Medical Center (AL), White County Medical Center (AR), Jupiter Medical Center (FL), Biloxi Regional Medical Center (MS), Centennial Hills Hospital Medical Center (NV), Lima Memorial Health System (OH), Northwest Texas Healthcare System (TX) and Johnston Memorial Hospital (VA). Fremont-Rideout Health Group (CA), The Charlotte Hungerford Hospital (CT), UF Health Jacksonville (FL), St. Petersburg General Hospital (FL), Venice Regional Bayfront Health (FL), Rockdale Medical Center (GA), Decatur Memorial Hospital (IL), Little Company of Mary Hospital and Health Care Centers (IL), Floyd Memorial Hospital and Health Services (IN), Riverview Medical Center (NJ), Brooklyn Hospital Center (NY) and Mercy St. Anne Hospital (OH). Full hospital rankings are only available to subscribers of Consumer Reports, but a list of the hospitals that achieved top scores for MRSA or C. diff. prevention are available at the end of the new report, "How Your Hospital Can Make You Sick." 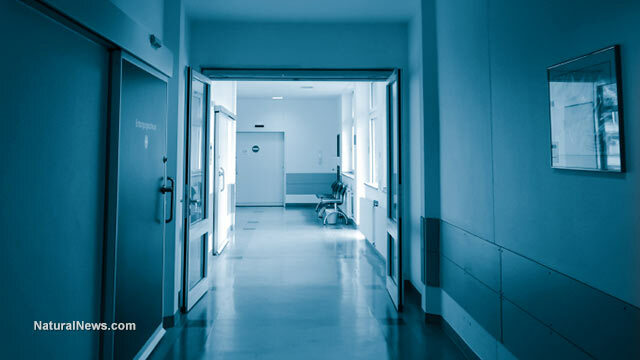 The report lists numerous measures hospitals can take to reduce infection rates, and it also emphasizes the importance of accurate reporting and controlling superbug outbreaks. It calls for hospitals to bear the financial responsibility for hospital-acquired infections, including costs that take place after discharge. The report also talks about measures that patients can take to protect themselves and others beyond selecting a hospital with a high infection-prevention score. These include immediate measures -- such as insisting on a clean hospital room or that everyone who enters the room wash their hands -- but also systemic ones, such as questioning antibiotic prescriptions. Whenever possible, the report notes, consumers should ask for antibiotics that target their specific infection rather than accepting a broad-spectrum prescription that is more likely to worsen the overall problem of antibiotic resistance.